Tahoe City recently completed the last section of bike trail through the city. They call it the Lakeside Trail and it’s only a mile in length. However, this is a very important section because it links the West Shore Trail to the North Shore Trail. In the past, cyclists/walkers had to venture out on Hwy. 28 to connect with the two trail systems. Hwy. 28 through Tahoe City is a rather unpleasant and hazardous stretch of road for cyclists. The Lakeside Trail is a safe and scenic trail that keeps you away from Hwy. 28. It travels across private property adjacent to Tahoe City Marina and Mall, Boatworks Mall, and Lighthouse Center. As an added bonus, each of these property owners provide lunch/dining opportunities for trail users. The complexity of crossing multiple public and private properties has made this a very expensive and lengthy process to complete. The first phase of the trail was completed in 2001. The unveiling of the completed trail was conducted on June 21, 2012. The largest contributor to the trail project was $5.8 million, donated by the California Tahoe Conservancy. The total cost was reported to be $12 million. 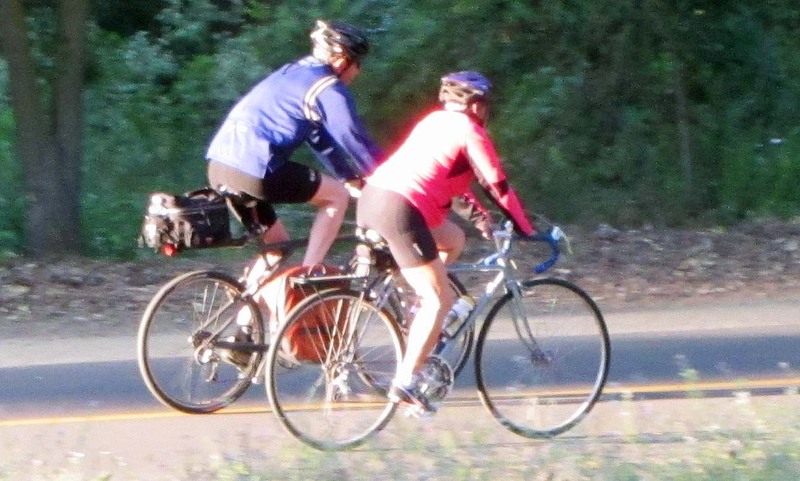 There is currently a plan by the Tahoe Fund to complete a bikeway around the entire lake. The total cost is projected to be $82.9 million. They have collected 18% of that amount so far.